Actually, Ratajit would say that Thai people is really excellent. Meanwhile of the protestation of Red Shirt, we are still in peace, we still stand with the DANGEROUS caused by these Red Shirt Protestants, and so on. Nearly one month with more than 20 bombs happened in Bangkok and countless of guns. 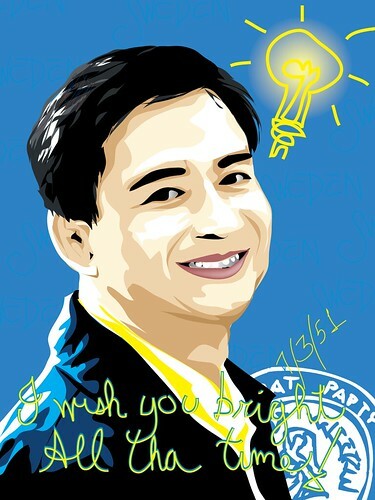 Today, Ratajit has a chance to go to Silom and Ratchaprasong where are now very silent if compared with last 2 months. 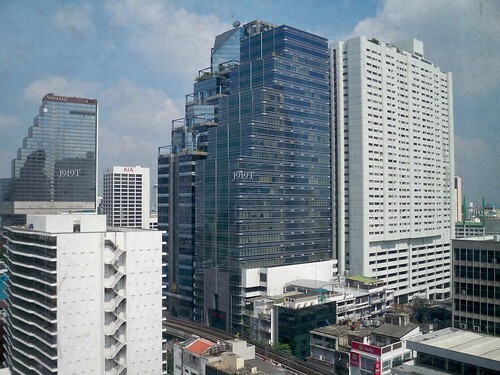 Such places are included with many offices or are the heart center of Bangkok. Ratajit sees only few taxis and bus. People in Lalaisup market are also sparse. 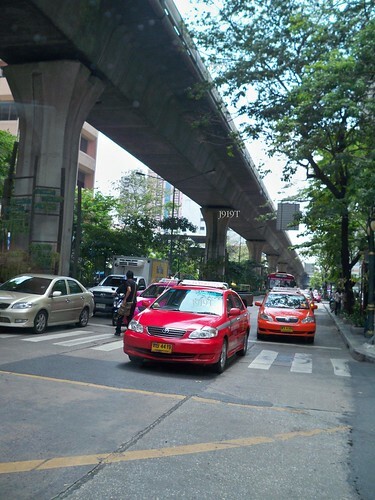 Moreover, the Bangkok Mass Transit system – BTS is stopped as well to prevent some uncertain events affect. It means that our Thailand’s economic is also silent too which is not the good sign for us although the exportation value is increased. Ratajit feels safety when seeing some soldiers and polices instead of Red Shirt. By the way, these soldiers should protect our country from the enemies not from our Thai people. As well, the police should prevent us from the bad guys not Thai in Red. However! 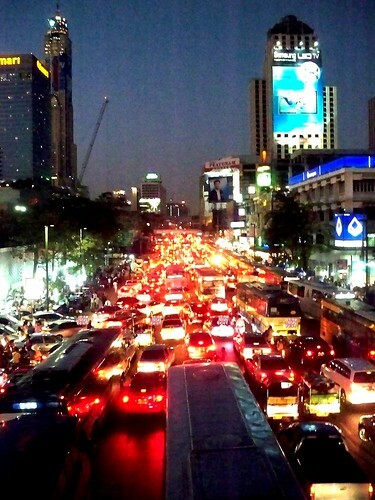 It does not have time left, because the school will be start on this Monday 18 especially around the Ratchaprasong and Silom Road. All schools around here have to postpone to open on Jun 1, instead. Ratajit wonders that these leaders of the Red Shirt may not have their children, may have nothing to do, may always feel lonely and want to stay with many people, may…..
Our Thailand PM Abhisit Vejjajiva who is under pressure has already done what these Red Shirt requests since May 8 with useless. These Red Shirt still ask for more and more over what they used to committed. Actually, Thai people are really upset to what the Red Shirt did. And, because we are Thai who have the same father or our King Bhumipol, many songs are produced for peace, for our King, for our Thailand and ourselves. 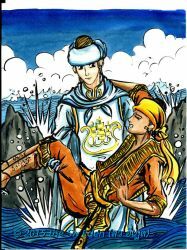 Ratajit would like to see Ratprasong like in the past with light and sound and good economic! Oh! this is real Shark Attack! It ate his cat first and then his arms, his body, his head but why did it not eat his legs? I just draw someone I do not like, and the animal I do not like. I wrote on the Shake, “Sw Eden”.